Rutherford Hayes, our country's nineteenth president once said: “Personally I do not resort to force—not even the force of law— to advance moral reforms. 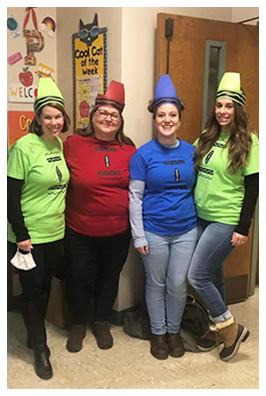 I prefer education, argument, persuasion, and above all, the influence of example.” Our teachers and staff agree; to lead by example sets the right tone for learning and much more. We are rooted in the teachings of the Church and are committed to a quality Catholic education. We address the spiritual, academic, social, and physical needs of our students in a caring atmosphere. Certified teachers and qualified staff teach by example, as much as they do by the presentation of material, to best prepare students for the larger world about them. We have an excellent contingent of certified teachers and staff devoted to what they do every day. We seek excellence in your students only after we require excellence in our teachers. 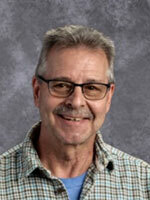 I am a spry, energetic survivor of thirty-four years of public schools. Retirement was not for me. Fortunately, I was able to find a second life in Catholic schools. Thus far, I have very much enjoyed the experience as the caliber of student has surpassed that which I was familiar with. I also bring an extensive coaching background to my classroom. This captures my educational philosophy as I feel that we must find different ways to challenge a student, bring him or her to a higher level, and create a confidence that allows the individual to grow and accept greater challenges. 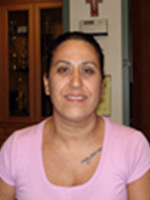 Jennifer Goncalo is a graduate of Salve Regina University with a B.A. in elementary education and special education. 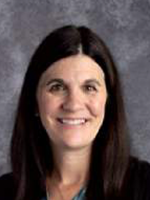 She has been teaching at Holy Name for 13 years; her first two years as the kindergarten teaching assistant followed by her current position as lead pre-kindergarten teacher. 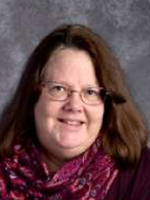 With her love for young children and creative energy, she has committed herself to making learning fun and engaging for the children at Holy Name. When she is not busy planning and implementing her ideas, she stays busy at home or on the go with her husband, Bill, and their four children, Evan, Nate, John, and Katie. Both John and Katie are active high school athletes. Evan and Nate are college students, and Nate is a drummer in his Crash Land Band. 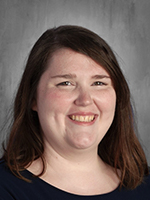 Ms. Grace is a graduate of Rode Island College with a bachelor's degree in music education; she joined the Holy Name School Family this past Friday, September 16th. 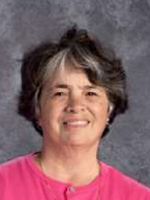 Ms. Grace began playing the violin in the 5th grade while in the Fall River Public Schools system. She has been teaching private and group string lessons for approximately five years in Providence and Massachusetts. 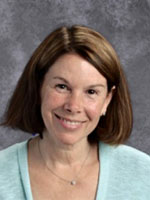 Ms. Grace has diverse teaching background and has studied multiple music methods, leaving her a well-versed instructor. 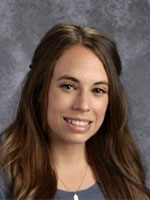 Brittany Juszkiewicz is a 2011 graduate of Bridgewater State University where she studied mathematics and secondary education. Miss Juszkiewicz is also an alumna of Phi Pi Delta fraternity where she served as treasurer. 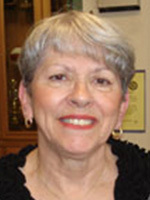 She was inducted into the Pi Mu Epsilon National Mathematics Honorary Society in 2010. 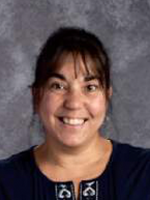 Miss Juszkiewicz holds two Massachusetts educator’s licenses, one in mathematics 5-8, and another in mathematics 8-12. 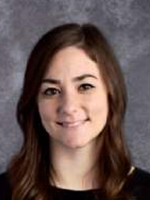 Having worked at Holy Name as a long term substitute in 2012 and a full time teacher in the 2012-2013 school year, Miss Juszkiewicz is looking forward to her second year as a full time teacher. 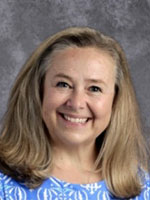 Mrs. Lefevre teaches Grade 3 at Holy Name School. She earned a bachelor’s degree from Bridgewater State University and later, a master’s degree from Cambridge College. 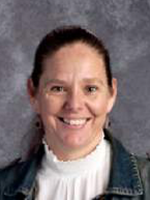 In addition to teaching, Mrs. Lefevre serves on the diocesan Social Studies committee and is a co-chair for the New England Association of Schools and Colleges accreditation process. In her spare time, she enjoys reading, bike riding, swimming and camping. 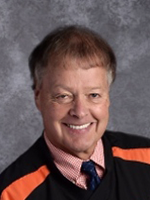 Mr. McNabb joins the Holy Name family after eleven years in public and charter schools in Mississippi and Washington, D.C., where he taught English, science, and social studies and served as a vice principal at the middle school and high school levels. He is excited to be returning full-time to his roots in the Church and to be closer to family in Rhode Island where he is living with his wife and daughter. Please stop by the faith formation office and say hi! Cindi Piques has been married to her husband Gabriel for 30 years. They have a daughter, Samantha, who is 23 and is starting her own photography business. Their son, Nicholas, 18, is a student at Durfee High School. They all live happily in the north end of Fall River with their dog, Patch. 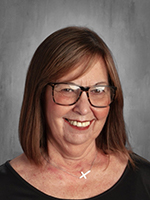 Mrs. Piques is in her third year teaching kindergarten at Holy Name School but was the assistant in the classroom for 8 years. 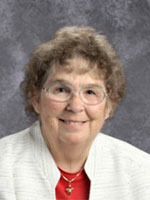 She previously taught pre-kindergarten at Notre Dame School. She loves to cook, read, and garden. 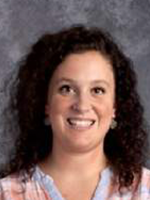 She enjoys teaching kindergarten and believes she learns as much from her students as they learn from her. 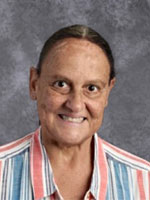 My name is Cheryl Robinson. I have been teaching fifth grade for the last ten years. I am a graduate of Roger Williams College with a B.A. in elementary and early childhood education. I have taken many courses in special education at Providence College to further my education. I am married and have one daughter who attends a Catholic school. We reside in Bristol, Rhode Island. My family means everything to me. I have been teaching for over 30 years and have taught many grades but fifth grade has always been my favorite. 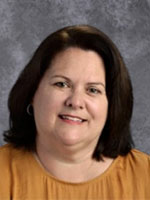 My name is Pamela Rogers and I have been teaching at Holy Name School for ten years. I graduated from Bridgewater State College with a bachelor’s degree in elementary education. I grew up in Swansea, MA and attended Joseph Case High School. I am married to my husband, David, and we have two children. My daughter is in seventh grade and my son is in kindergarten. They both attend Holy Name School. We reside in Westport, MA. My family is very important to me and I spend as much time with them as I can. This is one of the reasons why Holy Name School is the place for me. The family atmosphere at the school makes it inviting and where I want to be teaching. I am devoted to my students and try to do what I can to help them achieve their goals. My name is Lisa Smaldone. I am a proud graduate of Rhode Island College earning a bachelor of science degree, majoring in elementary, early childhood, and special education. I also earned a master’s degree in education, continuing my graduate studies at Rhode Island College. 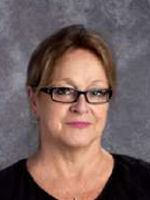 I have several years of teaching experience encompassing the early childhood and elementary grades. In addition to classroom teaching, I dedicate my time volunteering, and, also enjoy teaching faith formation within my parish as a children's liturgy leader and sacramental preparation teacher. It is both an honor and privilege teaching and preparing children both sacramentally within the Catholic faith, and, developing my students’ gifts and talents as learners and leaders in their educational paths within my classrooms. I am happily married to my husband and best friend. As a dedicated wife and mother, I passionately love and enjoy spending time with my family. 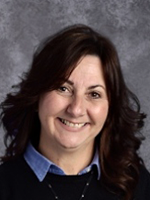 My name is Carol Tapis and I am pleased to become a member of the Holy Name School family. I have been appointed to be the resource teacher for grades K-8. I received a bachelor’s degree in elementary education with a concentration in mathematics and a master’s degree in education in teaching elementary school mathematics. Both degrees are from Bridgewater State University. 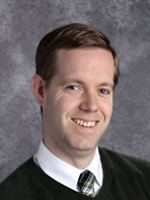 I am certified to teach kindergarten through eighth grade in Massachusetts. My teaching experience began with teaching grade six in the public schools. I then spent several years as a stay-at-home mom. I reentered the teaching profession working in inclusion classrooms. 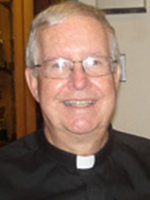 For the past twenty years I have been a teacher in the Diocese of Fall River. My husband and I are the parents of two boys. Gregory is a college professor and Stephen is a Massachusetts State Trooper. Reading, traveling, and cooking are some of my hobbies. I am looking forward to meeting the Holy Name Families. 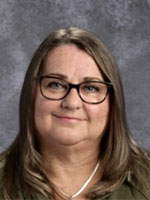 Mrs. Weldon has enjoyed teaching in the Fall River Diocese for over twenty-five years, where she has taught language arts, Spanish, religion, and more. 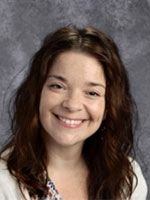 She attended Westfield State College and is certified in English for grades 5-9. Mrs. Weldon and her husband have raised two lovely daughters; one who is in college and the other is in law school. 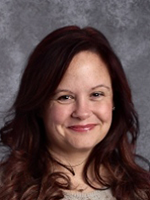 Mrs. Weldon enjoys camping, going to the beach, and reading. 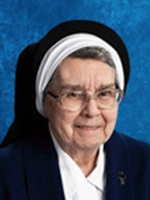 She is delighted to join the Holy Name community. My name is Alicia Coelho. I live in the city with my husband and two children. When I’m home, I enjoy spending time with my family and love reading in my spare time. 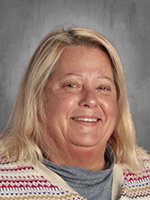 I have worked at Holy Name School for ten years as the pre-kindergarten assistant, and I truly enjoy my job. I believe the greatest gift I can give the students is a love of learning. I love seeing the children’s expressions when they are playing, or finally understand a new concept. I’m passionate about my job and enjoy listening to the children when they are sharing stories about their families. I believe this job was made for me, and I’m thankful for it! 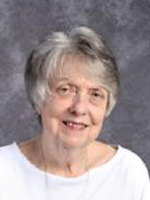 I have been a teacher assistant at Holy Name School for the past 11 years and a member of Holy Name parish for many years. I have two grown children and two grandchildren. In my free time, I enjoy knitting and reading, and my favorite place to be is the beach. I am looking forward to an exciting year in first grade.